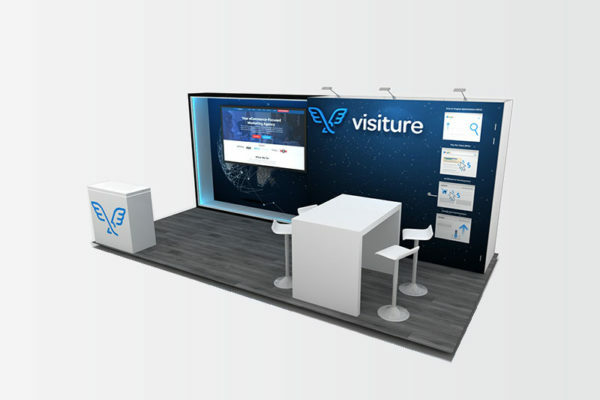 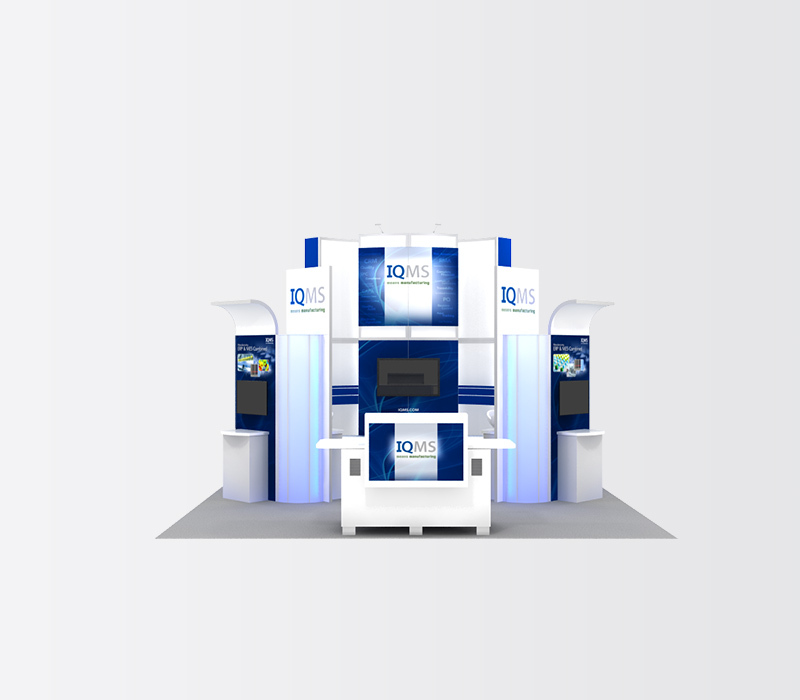 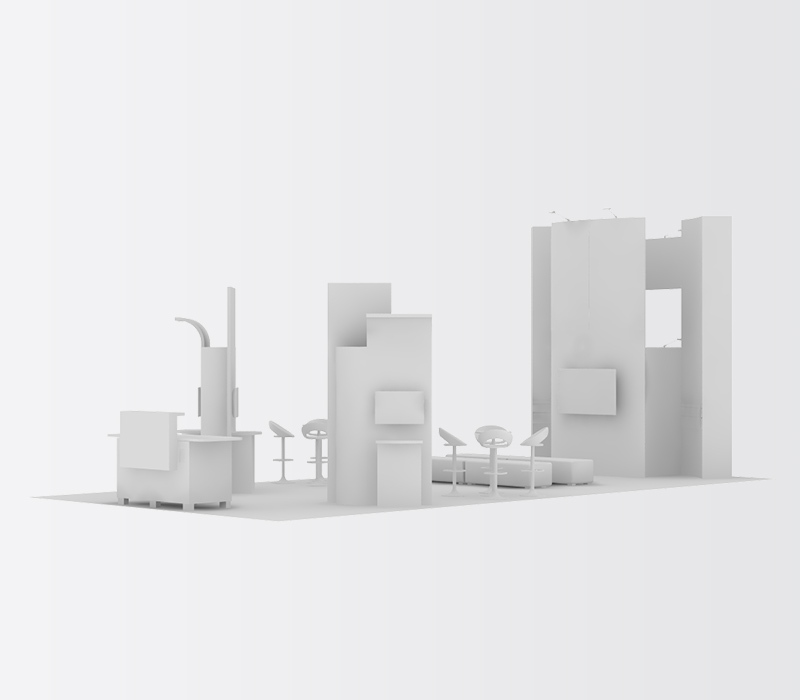 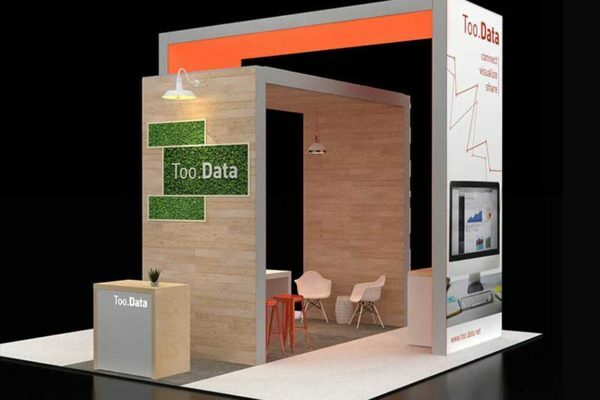 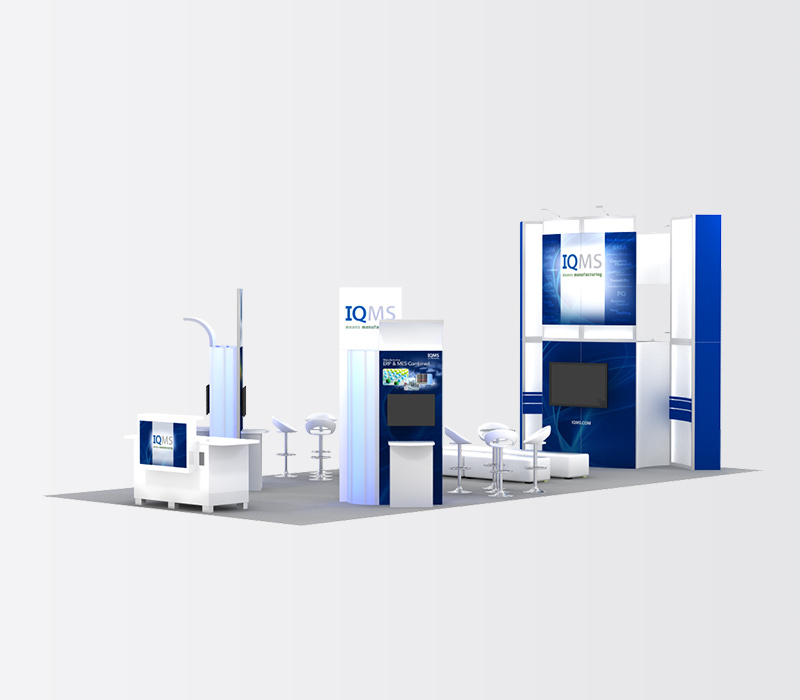 For manufacturing company IQMS, we built a sleek, inviting 20x40 exhibit rental. 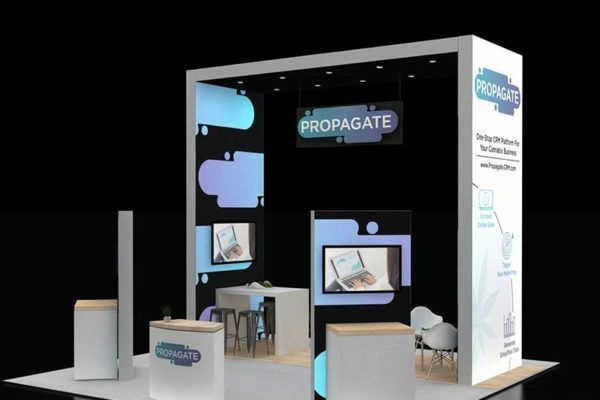 Featuring a 16-foot back tower with white LED lighting effects doubling as a theatre wall, the booth also included modern furniture for comfortable presentations and meetings. 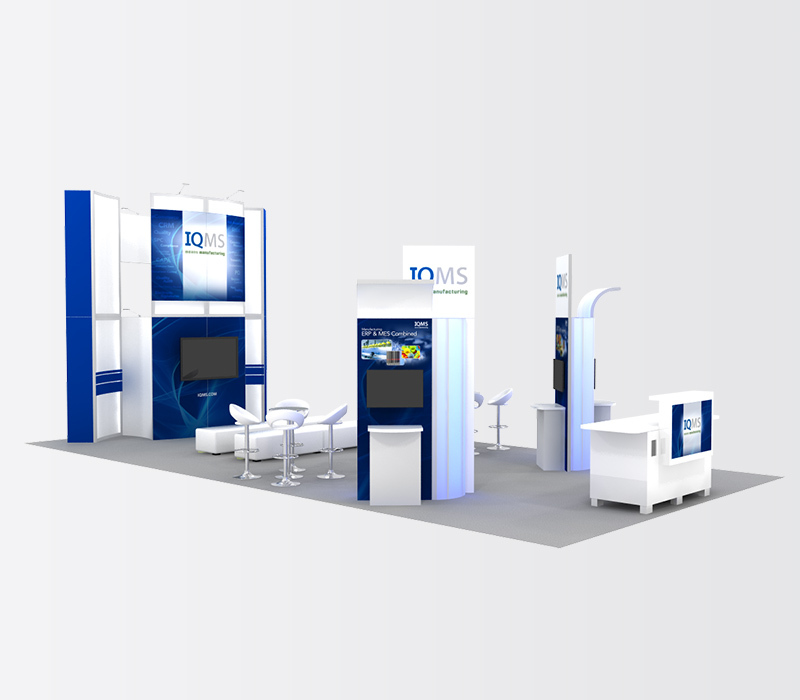 The two separate demo station structures, outfitted with internal blue LED lighting and modern gloss white counters, were double-sided with monitors on either side for a total of four space-efficient demo station areas.